Hugo: Can we fix him? Father: Of course we can fix him. I feel that there are two ways to really delve into Martin Scorsese’s 3D adventure/drama Hugo. On the one hand, I could address the fact that this is less a film for children, as the marketing would imply, and more a loving tribute to the creation of magic via the film format during the early days of cinema. While the film does revolve around a young boy going on an adventure to unlock a secret (a fairly generic one line summary), the whole things feels much more geared towards cinema history enthusiasts. Now on the other hand, I could talk more about the way Scorsese uses 3D in this film. Simply put, this is the best use of 3D in a live-action film I have seen (Avatar included) and I would be plenty willing to recommend seeing it in that format. As a whole, I would say this is a splendid film through and through, given both the heartfelt story and the technical accomplishment that Scorsese pulls off in its colorful creation. The film is set in 1930s Paris and revolves around the main railway station. Within the station lives a young orphan boy named Hugo (Asa Butterfield). Hugo spends his time adjusting all of the clocks in the station (quite talented with a set of tools he is), observing familiar faces around the station, swiping small parts from a man operating a toy shop (Ben Kingsley), and avoiding the station inspector (Sacha Baron Cohen), who quickly rounds up any orphans running around unsupervised. Hugo is eventually caught stealing by the toy shop owner, who takes a curious item from Hugo – a small notebook with designs for a mysterious device. In order to get it back, Hugo teams up with the eccentric girl in the old man’s care, Isabelle (Chloe Grace Moretz). Isabelle is interested in helping Hugo, because she likes the idea of joining in on an adventure. 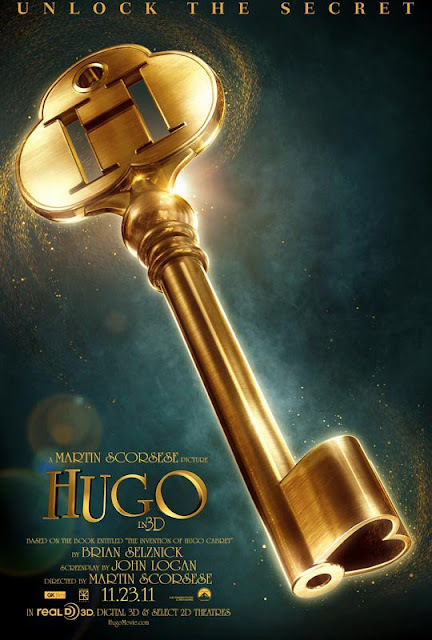 The adventure in question revolves around Hugo’s past. 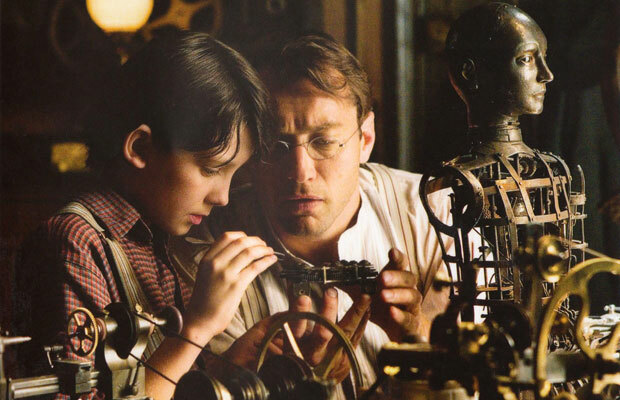 When Hugo was younger and living with his father (Jude Law), the two discovered a broken automaton. 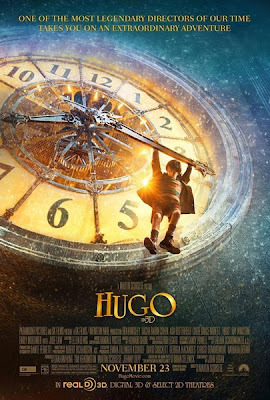 A tragic accident lead to Hugo being orphaned and living in the train station, but he still seeks to complete the uniquely designed automaton. 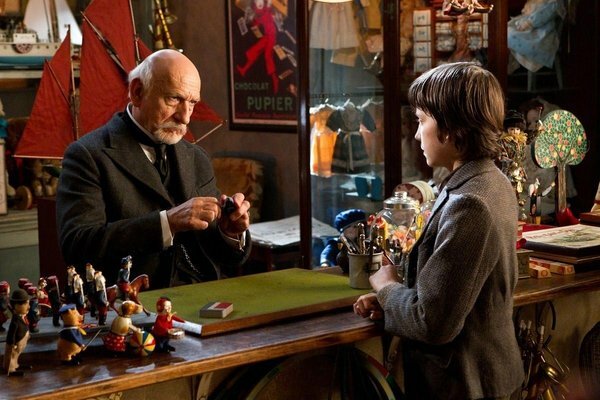 As Hugo works towards this goal, the film also begins to reveal its story about the toy shop owner, who is in fact George Mêliés, one of the earliest pioneers in cinema. So as things continue to unfold, it becomes a story of both discovery and re-discovery for two characters linked in a most serendipitous way. Hugo: Why would my key fit into your father’s machine? I honestly did not know what to expect from this film. My biggest interest was in seeing what a film shot in 3D by director Martin Scorsese would look like (and I’ll refer back to that soon). 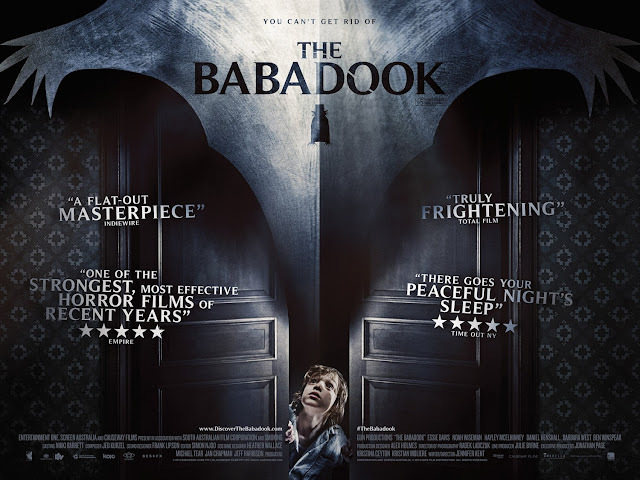 I have not read the Brian Selznick book that the film is based on a, but given the look and style of the film and the fact that it is rated PG, I did not really expect it to have a much more obvious appeal towards older audiences. As it turned out, this was a film that one could have easily expected Martin Scorsese to make, given his love and respect for the film medium. It very much revolves around the notion of nostalgia and paying tribute to where cinema emerged from. 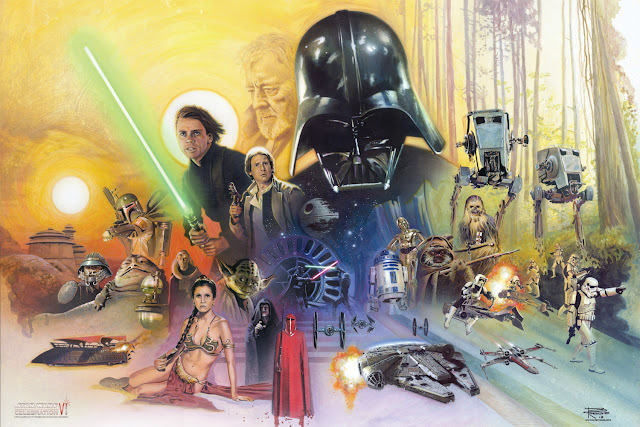 The film is in no way a history lesson about film, but it is very much channeling a lot enthusiasm towards those early filmmakers and what it meant to them to be creating movie magic. All of these things, yet the film still finds time to be both an adventure story filled with discovery for two children and an ensemble character film set inside a specific location. Both of the lead children characters feel much like ones you would find in a Dickens novel. In the lead role, Asa Butterfield is wonderfully capable of pulling off what is needed of him in terms of having a beyond belief type reaction to learning more during his adventures, as well as emoting as it comes time for him to reflect on what he has lost and the positions he gets himself placed in as an orphan. Moretz is also good at playing up the characteristics of a plucky young girl (with an English accent), who gets all her enthusiasm from the many books she reads. As far as the supporting cast goes, Sacha Baron Cohen does a lot of good work at playing up the physical comedy aspect of the film. Equipped with an injured leg that requires a squeaky contraption to keep him walking, his gangly nature and idiosyncrasies make him a fun character to watch and a goofy foil for Hugo. Other wonderful actors like Christopher Lee, Ray Winstone, and Emily Mortimer pop up as well, but Ben Kinglsey is the true standout. Kingsley has certainly been quite active over the years, but while many of those roles have felt like him slumming, this is a film where he seems to have truly stepped up. It is a heartfelt performance that becomes just as important as Hugo’s, and is deserved of awards recognition come that time. To refer back to how much of a technical accomplishment this film is, Martin Scorsese has managed to create a film shot in 3D, which has turned out to be the best live-action use of the format that I have seen. The 3D use never feels like a gimmick or as a way that simply looks fitting enough and has you forget that it’s happening. Instead, Scorsese and his production team have put together sequences that feel completely immersive in a way that is somewhat hard to describe, but altogether effective nonetheless. 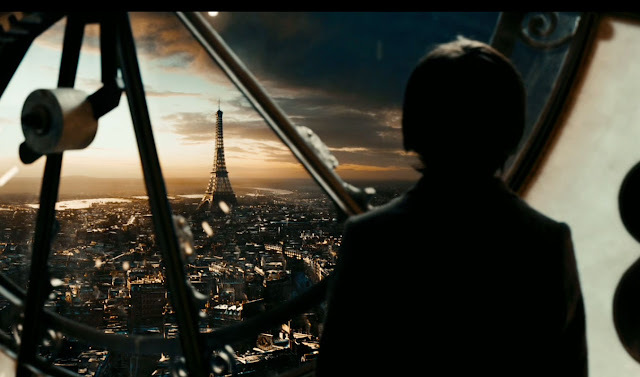 A beautiful shot that goes from out in Paris and flows into the train station and arrives inside of a big clock opens the film. 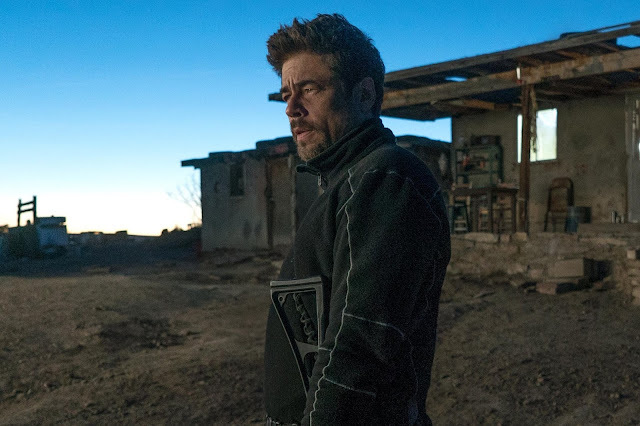 A later scene involves Cohen’s character being shot at a low angle and has his head literally feeling like it is in the theater with you (very nice!). 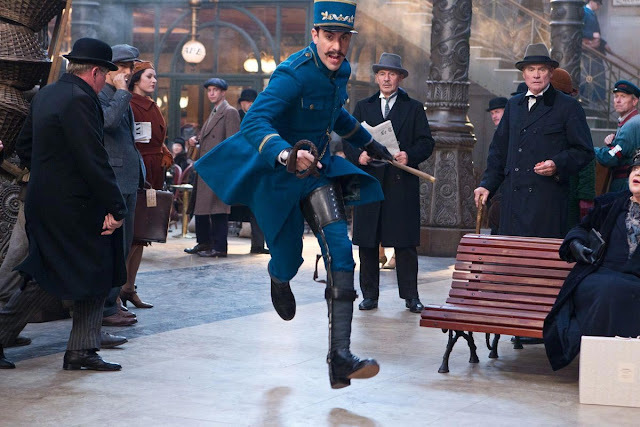 Hugo makes reference to one of the first films ever, which featured a train headed towards the camera. The concept was so foreign to people that the audience literally jumped in shock as the train reached the screen. It seems appropriately fitting that Scorsese chose this story to have used the 3D format so effectively with. The film is a visual feast as well in terms of the art direction, costume design, and wonderful use of special effects. 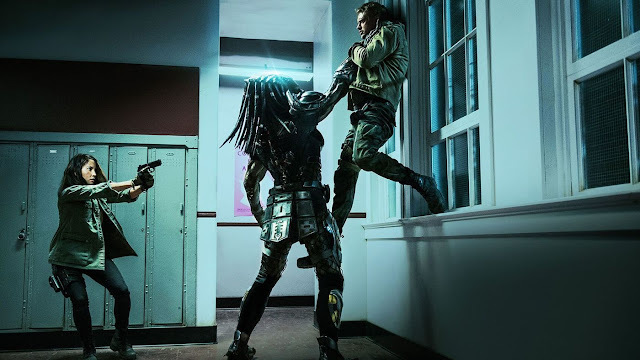 I do not expect this movie to do gangbusters at the box office, as it is honestly too weird of a film for whole families to really go out an embrace by the masses, but the quality of this film and its look justify its higher budget nonetheless. 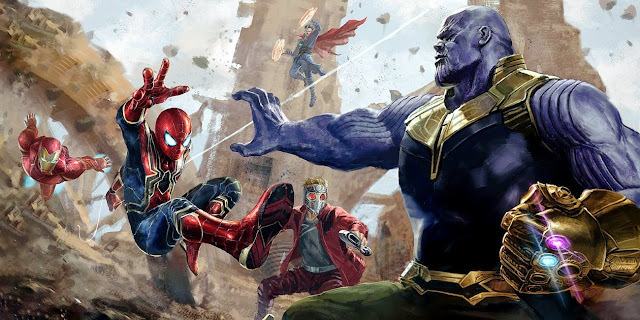 The film suffers a bit from a being a bit overstuffed, coming in at a little over two hours, but it is made up for given the eventual payoffs that occur throughout the second half of the film. I felt like this year was going to be a big test for the value of 3D films. In particular, I wanted to see how auteur filmmakers such as Spielberg with Tintin and Scorsese with this film would push the boundaries of the format. If more filmmakers were able to truly embrace the immersive nature of shooting this way, as Scorsese (and select others…Cameron) has, then I would be fine to see the trend continue. In any case, Hugo is a wonderful adventure that works as an ode to cinema, while embracing a sense of discovery as well. With both The Muppets and Hugo, the holiday season of 2011 is a good place to find some feature films that utilize nostalgia well. Mama Jeanne: You’ve tried to forget the past for so long; maybe it’s time for you to remember.